The value of a single bitcoin has surpassed $1,000 (£613) for the first time, according to MTGox, one of the virtual currency’s major exchanges. Bitcoin’s value has been rising rapidly since a US Senate committee hearing earlier this month. Confidence grew after the committee described virtual currencies as a ”legitimate financial service”. Bitcoin has become popular in part due to it being difficult to trace transactions. The currency is often linked to illegal activity online. To process Bitcoin transactions, a procedure called ”mining” must take place, which involves a computer solving a difficult mathematical problem with a 64-digit solution. To receive a bitcoin a user must have a Bitcoin address – a string of 27-34 letters and numbers – which acts as a kind of virtual postbox to and from which the bitcoins are sent. These addresses are in turn stored in Bitcoin wallets which are used to manage savings. They operate like privately run bank accounts – with the proviso that if the data is lost, so are the bitcoins owned. Customers using the Silk Road – a website selling illegal drugs that was shut down last month – would pay for goods using Bitcoin. Many worried the crackdown would cause the value to plummet, but instead growing confidence that regulators will not imminently seek to ban the currency has seen its price soar. Enthusiasts say it is a highly efficient way of handling global money transfers. ”For Bitcoin to go from zero to $1,000 in just five years has been amazing to watch,” said Mike Hearn, a Bitcoin developer. The US Senate hearing earlier this month was prompted by the closure of the Silk Road. Representatives from the Department of Justice and financial regulator the Securities and Exchange Commission were asked to provide their views about virtual currencies to the committee, and submissions have been received from the FBI and the US Federal Reserve. ”Virtual currencies, perhaps most notably Bitcoin, have captured the imagination of some, struck fear among others, and confused the heck out of the rest of us,” the chairman of the committee, senator Thomas Carper, said in opening remarks. 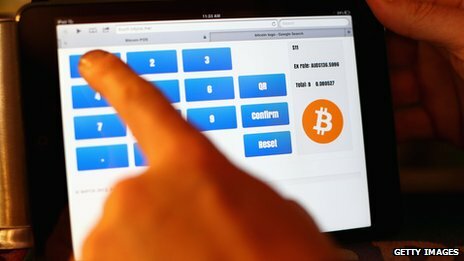 The FBI, in a letter to the committee, said that it recognised virtual currencies offered ”legitimate financial services” but they could be ”exploited by malicious actors”. It has been an extraordinary year for the currency, which attracts disciples and detractors in similar numbers. Back in January, when only a dedicated band of libertarians and uber-geeks knew much about it, one bitcoin was worth under $20 – but as people began writing about its attractions, the value soared. Then in October when the FBI closed down the Silk Road, the online drugs marketplace where Bitcoin was the main means of exchange, it tumbled over 20% in a few hours. But last week, it was given the stamp of respectability when a US Senate hearing heard glowing testimony about its potential, with officials from President Barack Obama administration comparing its merits with those of the internet. There is now growing knowledge of and interest in Bitcoin among law enforcement officials, regulators and economists. And while there remains much scepticism about its security, the idea of a virtual currency for the internet has taken root. But investors beware – anyone who gets on the bandwagon can be guaranteed a bumpy rise. But Bitcoin is slowly starting to be used for other, more legitimate means. In October, the world’s first Bitcoin ATM opened in Vancouver, Canada – the machine allows users to exchange bitcoins for cash and vice-versa. Although one entire bitcoin may be worth $1,000, it is possible to pay for goods using fractions of bitcoins. For example, pizzaforcoins.com offers two pizzas for 0.02160 bitcoins. The value of Bitcoin has fluctuated throughout the past year. In January, it was trading at about $20. In April, a panic sell-off meant the value of one bitcoin went from $260 to $130 in just a few hours. Trading exchange MTGox said it had struggled to handle a ”rather astonishing” sudden influx of new users. The virtual currency has also been quickly adopted in China, where one exchange – BTC China – is said to be the most active globally. Bitcoin’s use in China has been attributed to it being an effective way of reliably getting money out of the country. Various Bitcoin exchanges have been set up around the world, with MTGox being the most prominent. Typically, each exchange will show a different value – this is due to the difficulty in exchanging bitcoins for real currency, a process that can require the funds to be transferred through several banks in different countries. Each bank would probably charge a fee for these transactions. Bitcoin’s volatility has provoked calls from some to not refer to it as a ”currency” at all, and that it instead should be referred to as a stock or commodity. november 28, 2013 i Bitcoin nytt.